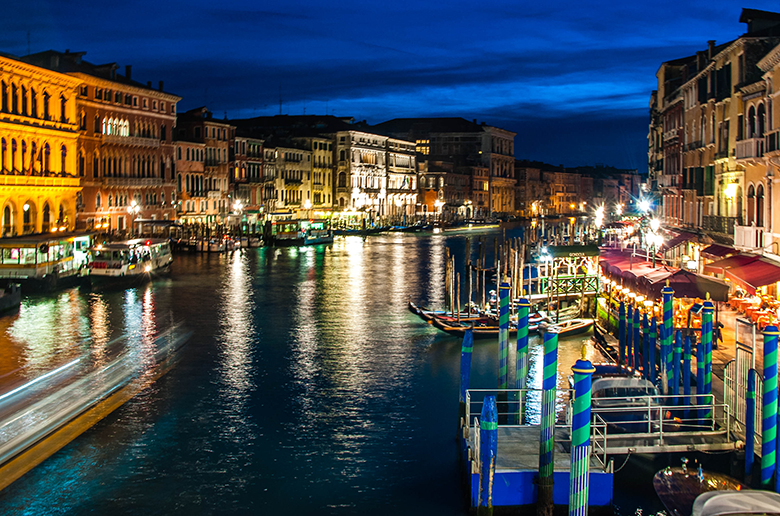 25 million tourists visit the tiny island of Venice every year – that’s a lot of people! While it’s hard to avoid the crowds, it’s possible. Venice holds more secret corners and hidden gems than you might think. 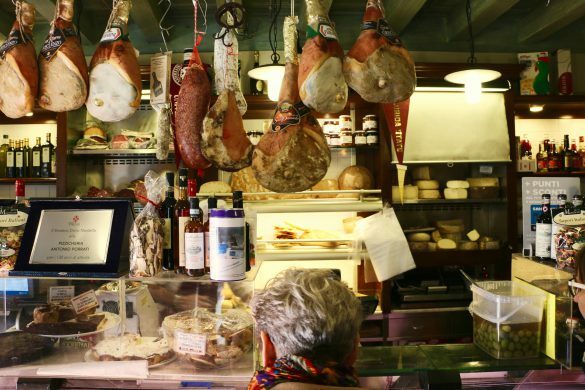 Here are five hidden gems in Venice beloved by locals. Keep reading to discover five things to see in Venice off the beaten path. The Biblioteca Nazionale Marciana is one of the major national libraries in Italy, and the most prestigious in Venice. 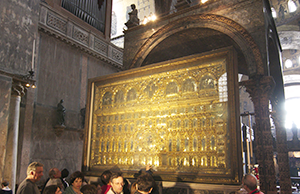 It was built in 1400 thanks to a significant donation by cardinal Bessarione. Consequently, Venice soon became the cultural heart of Europe, recognized all over the world for its heritage. 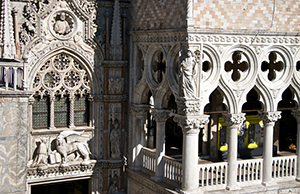 Because of the outstanding architecture and interior, it ranks among the best hidden spots in Venice. In addition, the collection of ancient greek, latin, and eastern language manuscripts truly makes it invaluable! 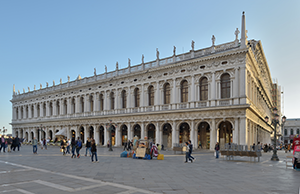 Divided between two buildings, the Biblioteca Nazionale Marciana was desinged by architect Jacopo Sansovino. 10a.m. – 7p.m. (from April 1st until October 31st). 10a.m. – 6p.m. (from November 1st until March 31st). Closed on Sundays. The Pala d’Argento is displayed only three times during the year, at Christmas, Easter and the Transfiguration, on August 6th. The rest of the year, “The Transfiguration of Christ” painting by Titian, hides that silver masterpiece! Among the hidden gems of Venice, this is among the best. You have to see it with your own eyes to believe how jaw-dropping it really is. 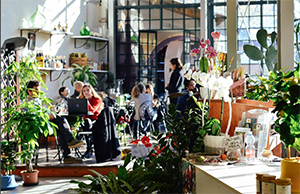 Caffè La Serra is a cozy secret spot in the middle of the Biennale gardens, concealed inside an ancient greenhouse. Built with glass and iron, this unique structure was designed to accommodate palm trees and decorative plans used during the globally known International Exposition of Arts in 1895. Today, it’s a cafe and flower shop. Furthermore, this is a favorite among locals and an awesome place to take a break after visiting the Biennale Gardens favorite and a great stop to take a break after visiting the Biennale gardens! Tue, Thurs – Sat: 10am – 6pm. Wed and Sun: 10am – 1pm. Closed on Mondays. Did you know there’s an underground portion of Doge’s Palace with dungeons and torture chambers? Members of the general public may access the main floors of the palace or admire it’s Venetian Gothic exterior, but few get to access the secret restricted areas. Hence, few of them get to embark on a real adventure in a secret restricted area! Linked to the Palace’s prison, the Chamber of Torment, tells the stories of 18th century prisoners in Venice. Most noteworthy, the Italian adventurer and author Giacomo Casanova was imprisoned here. If you’re looking for a local Venetian guide taking you through time and history in Venice, take our Doge’s Palace Secret Itineraries tour! In the Frari area, not far away from S. Polo district, Atelier Pietro Longhi is the most popular address among locals for historical costumes and masks. Artist and tailor, Francesco Briggi, still crafts by hand unique reproductions of traditional Venetian gowns by studying original paintings. In addition, every year during Carnival, the Atelier hosts a secret hot chocolate party in one of the most sumptuous palaces in Venice, the Nani Mocenigo. Mon-Fri: 10am – 2pm. Closed on Saturdays and Sundays. We hope that we’ve inspired you to discover more of the hidden spots in Venice on your visit to the Floating City. Still want more? Share your experience with us by tagging us in your posts. Share your photos with us on Facebook, Twitter, Pinterest and Instagram with #TheRomanGuy and @theromanguy for a chance to be featured. 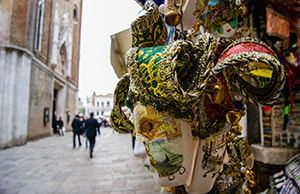 Check out our Venice tours to discover our unique experiences with local insiders. 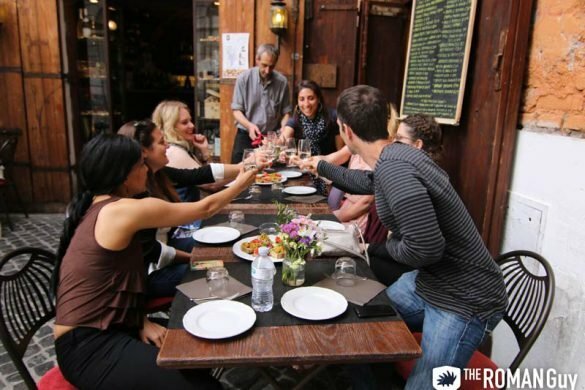 Let us help you plan an unforgettable vacation – our team of Italy travel experts are always ready to help you in our Trip Planning Department. 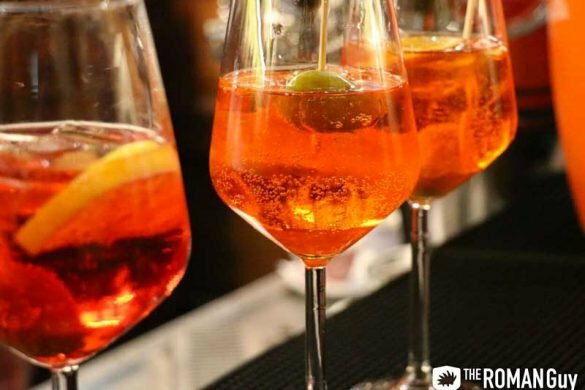 The Best Amatriciana Recipe in the World – Made in Italy.